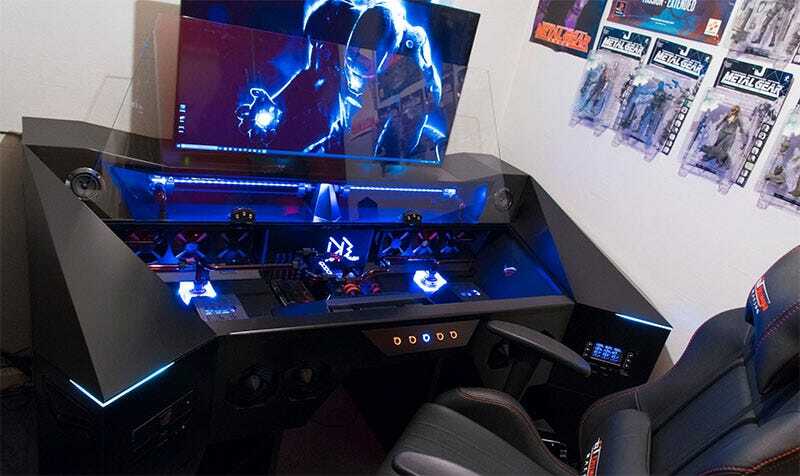 Custom PC builder Deblow’s amazing effort here has no need for desks. It’s so big it is a desk. That’s the PC itself lit up there, sitting under an enormous glass panel. It is also not cheap. In total it cost him around £4500 (USD$6800)to build, of which £350 was for the desk components and the rest for a very good gaming PC.